Who knows what secret backroom Satanic Hollywood deal producer/director Judd Apatow made to allow him to use half of the world’s rock royalty on the soundtrack to Funny People but regardless, he did and it’s awesome. The album includes representation from each member of the Beatles in some way: Paul with “Great Day,” John with an amazing acoustic version of his posthumous hit “Watching the Wheels,” and Ringo and George with “Photograph” which they co-wrote for Ringo’s first solo album. Additionally, there’s Robert Plant’s “All the King’s Horses,” James Taylor’s “Carolina in My Mind” (which has a great cameo in the film), Neil Diamond’s “We,” and Wilco’s live version of “Jesus, Etc.” Recorded with Andrew Bird on violin. Warren Zevon’s “Numb as a Statue” and the ever-moving “Keep Me in Your Heart” might be the most appropriate choices for the soundtrack having been written and recorded while Zevon was dying of cancer (not a spoiler by the way). The collection might be considered a bit of a downer by some but in the 14 tracks you’ll also find a few songs pulled right from the film such as Adam Sandler’s surprisingly serious version of the Beatles “last” song “Real Love” and a rendition of “Memory” from the Broadway show Cats sung by Apatow’s daughter Maude who also appears in the film. It’s a perfect soundtrack album pulling variations and b-sides from some of the best and mixing it together with a few memories from the film making for a great listen. 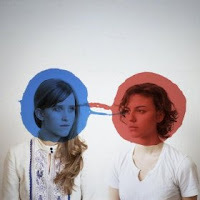 I’m not sure how to even describe the absolutely fabulous new record from Brooklyn’s avant-prince, Dave Longstreth and The Dirty Projectors. For sure, Bitte Orca is the most accessible album they’ve made so far, but with it still remains the experimentation they employ with such relish: many, many alternating time signatures and zany soundscapes. But what really magnifies the songs, and the album as a whole, is their ability to pull all these elements together within the frame of a melody. For me, that is the records biggest achievement—an eccentricity that underscores the basic essence of a pop sensibility. 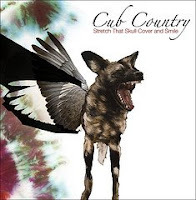 The first track, “Cannibal Resource,” is such a great album opener, with its jaunty rhythm and stereo chorus of syllabic chants from female leads Amber Coffman and Angel Deradoorian, it reminds me of busting open your front door on the first nice day of spring. But hey, I’m a romantic. Secondly, “Temecula Sunrise” begins with some impressive acoustic guitar arpeggios accompanied by even more impressive vocal stretching by Longstreth, and moves into a flurried melody that oscillates between shredding and lullabyish swooning. The most distinctive song on the album, though, has to be “Stillness Is The Move.” It has an almost R&B tone that really displays Ms. Coffman’s vocal range and separates it from the rest of the tracks—until the orchestral coda, that is. My personal favorite is “Useful Chamber,” primarily because of the build that results in some primo chaotic shredding. My brain is starting to hurt trying to accurately describe the elements of this record and what makes it so striking and appealing. I forget where I heard the phrase “It’s like trying to describe a color in words,” but that really sums up how I feel. It’s just so refreshing and rejuvenating—like the first nice day of spring. Big, no, huge thumbs up. With the sweet twangy guitar on the album’s “Painted Flowers” and its moody lyrics “Will you follow me if I leave/Go and pack up all your things?/The city’s full I’ve got no space/and it’s past time I left this place,” this wistful blue-grass number would be perfectly served alongside a warm night, starry sky and domestic beer. The opening track, “On Yer Own” punches up this mostly melancholy album with stronger guitar chords and louder drums. Another of the more up-beat numbers, “After the Song’s Been Sung,” highlights how likable the quality of Jeremy Chatelain’s voice can be, and has some nifty guitar solos to boot. Chatelain, who is a former bassist for Jets to Brazil, formed the band in 1999. I initially misheard one of Aaron Stovall’s lyrics from The Loud Wars “Friendarmy” as “Tell me everything you know about tired crescendos” and thought this to be an ironic coincidence. It seems the danger that often happens in this subgenre of dance music by way of algebra class is that all the added electronics, percussion and whirling riffs can all just feel like a constant build-up with no payoff. It was as if the Dynamos were getting in their own self-reflexive jab before the critics could even weigh in. While I’ve enjoyed the Dynamos music, I might agree with Stovall on his inadvertent criticism. While I hate ruling on a band solely based on comparison, The Dismemberment Plan were one of those sacred bands that caused anything in the same vein to simply pale in comparison. The Dynamos often fell victim to this. Their music was enjoyable, but it suffered from this constant build-up with no “Emergency & I” choruses or “Ice of Boston” storylines. But the differences in The Loud Wars are highlighted, the sound is altered and the build-up even seems purposeful in its lack of resolve. The album comes across less like a live show and more like a coherent studio production. Stovall’s lyrics paint a dark story to accompany the backing chaos. In the beginning (“Glaciers”), he restlessly needs to get out of a boring party, but in the end (“The Formula”) he’s accusing prayers of having an Earthly place to go and die. And the drony talking and chanting of the album add even more to this darkness. 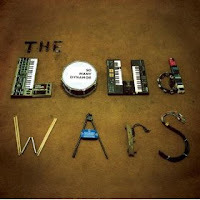 This loud war they have waged gains more and more steam as the album chugs along. And Stovall defends his war with a lyric that this time wasn’t misheard, and shows he’s not overly worried about resolving it. “I don’t want to make amends, I want to make a mess.” Mission accomplished. 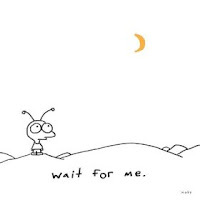 Wait for Me is indeed a contrast from previous albums, notably 2008’s rave/techno/pop album Last Night. Yet more so fans will find this album reminiscent of a Moby we knew ten years ago. And while this record is definitely on the same wavelength as 1999’s Play, it still brings to the table a different creative vision. “Study War” is easily the most uplifting track on the album, proving that brevity and simplicity in a song’s lyrics can go a long way. Concluding track “Isolate” not only is one of the most instrumentally magnetic songs I’ve heard in awhile, but it’s easily recognizable as one of Moby’s creations. Not many artists who rely on sound over vocals have the ability to make that distinction. Using influences like David Lynch, producers like Ken Thomas, and a recording studio in the privacy of his own home, Moby set out to create an album that was more personal and less mainstream….Turns out, that was what fans were waiting for. Wait for Me is out in stores now. Feel free to check out some of Moby‘s new songs on his MySpace page, and be sure to check out other artists on Mute Records. 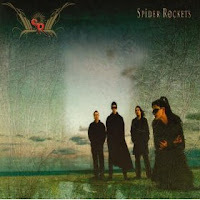 Loud nasty and plodding, all in a good way, NJ’s Spider Rockets 10-song self titled CD roots around Concrete Blonde territory, just with a much harder guitar sound. First tune “Kiss You Dead” has got that commercial heavy vibe to it, while “Power Tripping” gives vocalist Helena Cos space to route around between her tight playing boys, but it’s on “Cold” where I feel the band really works it. Dan Prestup’s fast bass drum drumming and Johnny Nap guitar pull-offs make this heavy tune and while not as sing-able (if any of these can really be called sing-able), “Cold” really is the best of what I think Spider Rockets is about; interesting vocals if not overly powerful, good playing and often-catchy choruses. Bassist Bones Hackett starts “Everything” but I’m not sure this one goes anyplace like the strong ones before it, but no worry, Hackett is at it again on the dark work-out “Anti-Hero” (with some organ too) and “Let It Go” is as close to Metallica as these guys get, with Prestup’s creativeness making the verses some interesting listening even if the chorus is predictable. “Predator” lays there on the verses but I found myself bopping during, what I can only describe as an almost Go-Go’s meets Black Sabbath chorus. (Yeah there is Hackett again, leading this time). “No Place To Hide” pulls out all the stop-and-go stops for the guys in the band, with Cos trying to find her way, then we’re over out and done with Spider Rockets.